TAG UK Ltd reinvent kitchen design principles to cater for a vegan menu and create an ethical and ecological operation. 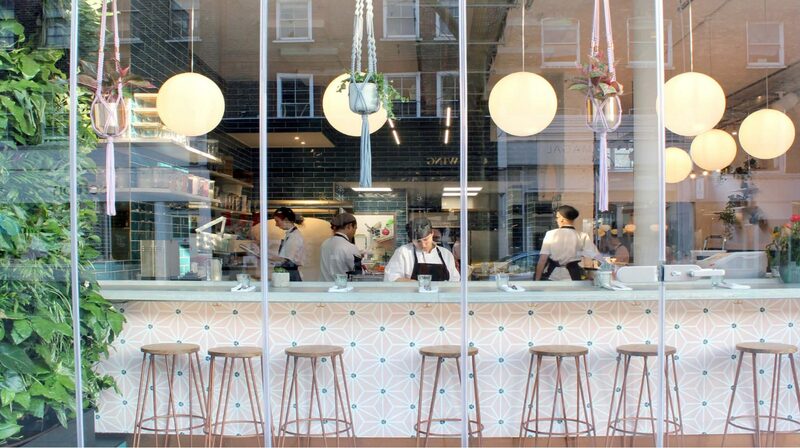 The Stevenage-based catering equipment and design specialists recently completed this unique project at the Wild Food Cafe in Covent Garden, delivering the supply and install of the cafe’s kitchen which produces a plant-based menu. With a strong emphasis on wellbeing and an ethos which focuses on the importance of ethics, TAG were presented with a brief which would need to comply these requirements, including an ethical supply chain and ecological credentials with a holistic approach. The kitchen design incorporated a proposed living wall, so no heat or steam generating equipment could be situated close by and required the minimum amount of equipment possible to meet the brief, so preventing waste. One of the kitchen’s most unique elements was the installation of a wall of 12 dehydrators. A feature not often seen in commercial kitchens, the client needed to dehydrate nuts, kale, make granola and more – TAG were able to install the equipment without losing any critical preparation space. Following project completion, the chefs were thrilled with the generous space available due to the clever design produced by TAG.